Legislation related to Conflict Minerals and other restricted substances continues to evolve, so Burton Industries has takes a proactive approach to help customers understand potential supply chain issues. The Company’s existing tools for online component analysis and lifecycle review database are also used to help identify status of Conflict Minerals . The process starts at the RFQ stage. As part of the RFQ response, the engineering team routinely provides lifecycle analysis and identification of any component issues. This response is being enhanced to also list the Conflict Minerals classification of each component as Democratic Republic of Congo (DRC)-free, DRC undeterminable or Unknown. If the project is won, a more detailed analysis going beyond the limitations of the database tools can be performed, but this basic analysis opens the door to further discussion of Burton Industries’ engineering support capabilities. For existing customers, a more detailed analysis can be performed as part of manufacturing or engineering services. The database tools are used initially, but Burton Industries’ team will take the additional step of determining the status of unknown components by obtaining additional information from the manufacturer and confirmation from any Burton Industries-chosen suppliers, such as PCB providers or custom device manufacturers. Recommendations for alternate sources will also be provided. Additionally, this information will be incorporated into Design Compliance standards during the design engineering process. The process is similar to processes currently used to determine RoHS or other compliance standards. The goal is to cost effectively assist customer’s meeting the compliance requirements that apply to their products. Can Your Contractor Really Help Your Team Build Better Product? Many of our customers face competitive cost pressure but have limited redesign options. Our team can help. For example, in one measurement device product line we were able to apply our value engineering skills and reduce the cost of three assemblies by 12, 14 and 16 percent, respectively. The cost savings was achieved through a combination of identifying drop-in replacements for several components and eliminating some manufacturing processes. In another case, we helped a customer address a field return issue on a system controller. Our engineering team performed failure analysis on the field returns using an outside laboratory and found no issues with the components. Further analysis showed that the problem was in the customer’s documentation. On the same assembly, a customer-initiated ECO had changed a component in error and created performance issues in the assembly. Our team worked with the customer’s team to evaluate and re-layout the board. The re-layout of the board corrected the design issues and reduced unit cost by $7.87. When a customer transferred an industrial product subassembly from another contract manufacturer, we found that design for manufacturability (DFM) analysis had never been performed. Not surprisingly, the product had a history of quality issues. Our analysis found incorrect land patterns and spacing, incorrect hole sizes, slot dimensions and locations that were missing. Components were also placed too close to the PCB edge. We were able to re-layout the printed circuit board assemblies (PCBAs) to correct these issues. In yet another case, a medical OEM had a legacy product that needed redesign support. Our engineering team worked with customer’s engineering team to gradually convert the older PTH product to SMT, and provide DFM/DFT recommendations. The end result was more manufacturable product and improved component availability. These are just a few of the many challenges our team solves on a day-to-day basis. 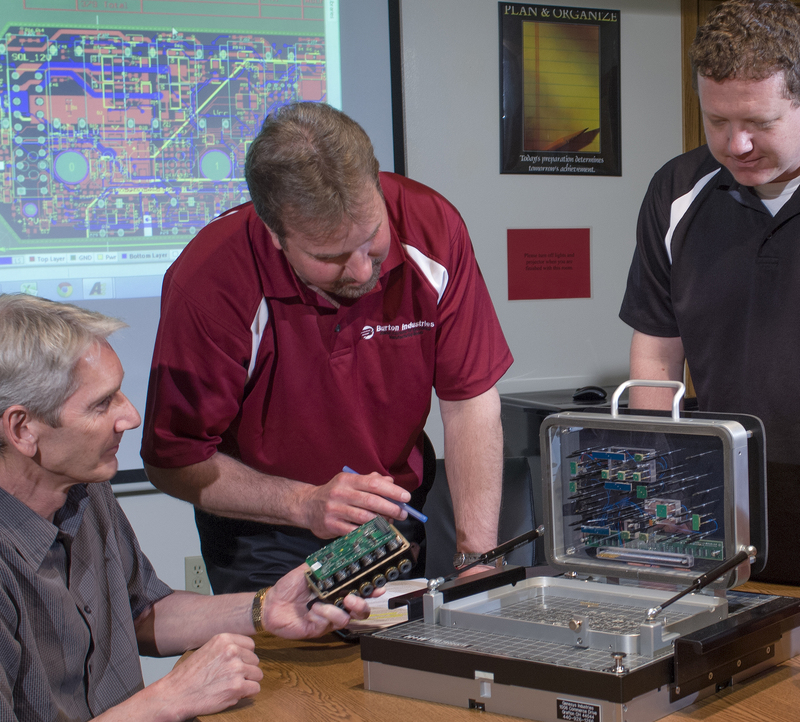 We stand ready to provide a wide range of engineering support, including: design for manufacturability and test recommendations, smooth new product introductions, product lifecycle management recommendations, cost reduction suggestions and test strategy optimization. Can a faster tester be used? Case in point, Burton Industries’ CCI automated functional test platform reduces typical functional test time from 5 minutes to under a minute, over older similar functional test platforms. Can NRE be reduced through use of connector-based testing? The CCI functional tester can use either bed-of-nails fixtures or do connector-based testing, provided the PCBA design allows test access via the connector. Has the product been evaluated for the best test and inspection strategy? Burton Industries’ team analyzes the right mix of inspection and test steps for each customer’s goals. The Company’s current inspection and test capability includes automated optical inspection (AOI), 2D x-ray inspection, a Checksum manufacturing defect analyzer (MDA) tester, in-circuit test, automated functional test and custom functional testing, providing a wide range of options in inspection and test step combinations. Are test point accessibility issues driving higher cost? 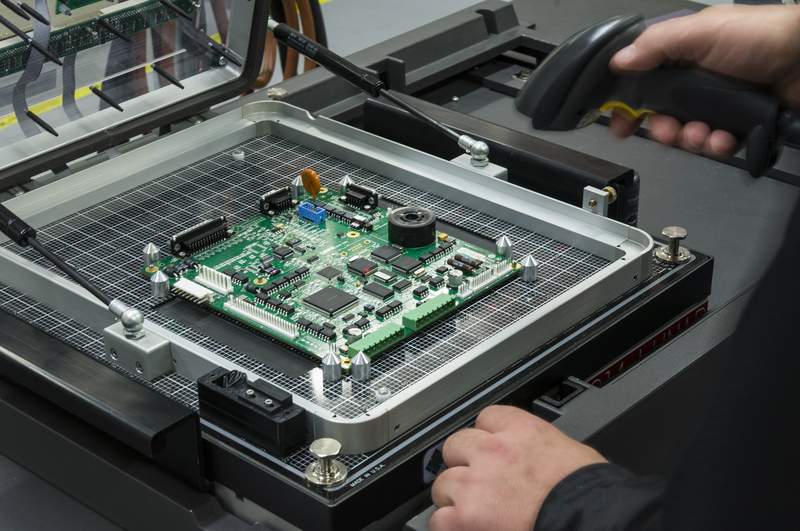 In-circuit testing can cut test costs in higher volume PCBA manufacturing when the PCBA is accessible enough to ensure good coverage, however, when that isn’t the case the solution is often greater levels of inspection or longer functional test cycles. Self-tests such as boundary scan testing can help improve test coverage in PCBAs with limited test point access. To achieve maximum benefits boundary scan cells need to be included on all pins. Is there a final program, test, pack and ship station? Combining testing and programming can save some time over separate processes. Having that work cell also pack and ship the product enhances configuration management by minimizes the opportunity for mislabeling or mispackaging products that are configured to order. 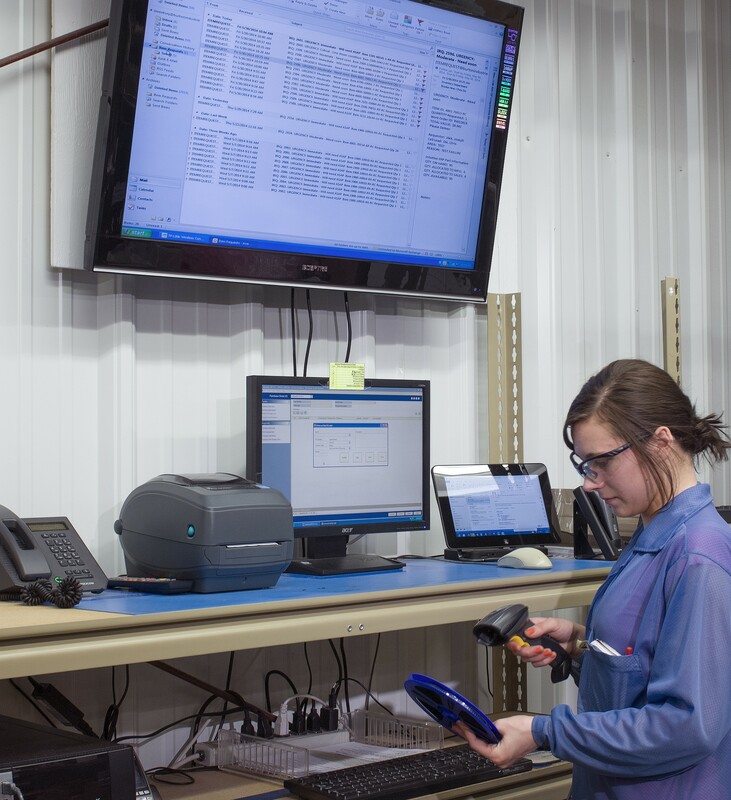 The team at Burton Industries is focused producing products at the lowest possible costs and routinely evaluates these areas to better optimize test strategy.